Two years after its release, Legend of Zelda: Breath of the Wild remains a near-perfect game. It’s also still easy on the eyes, thanks to a cartoony style that’ll stand the test of time for years, if not decades to come. So what happens when you strip away that candy-coloured exterior? It looks pretty grim, to be honest. Arkh Longstride used the latest version of the CEMU emulator—which has given us Breath of the Wild mods that range from 4K resolution to Bowsette to this fast-moving monstrosity - to remove the game’s cartoony cel-shading and make a host of other visual tweaks like getting rid of fog, adding clarity filters, increasing view distance, and speeding up the framerate to 60fps. The end result doesn’t look bad, but it definitely lacks the game’s signature charm. Also, I’m guessing this world’s inhabitants suffer from seasonal affective disorder all the time. 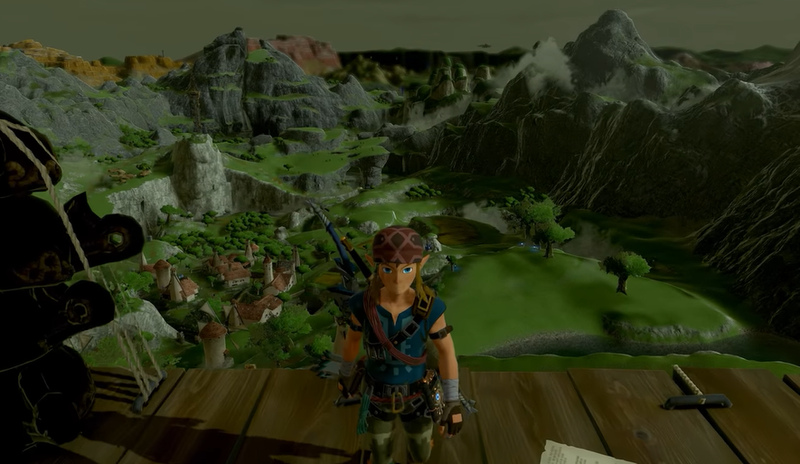 Still, there will always be a contingent of Zelda fans who hunger for a grim and gritty take on Link’s fantastical adventures, and this seems as close as we’re going to get for the time being. I honestly prefer the cel-shaded style. Absolutely. This looks pretty ugly to me. Well, they need to up the luminance... but I'm glad there's a way to get rid of the stupid lifted black filter.